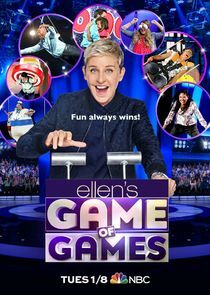 Ellen's Game of Games is an hour of supersized versions of the most popular and hilariously fun games from The Ellen DeGeneres Show. Contestants, pulled right from the audience, will have to maneuver massive obstacles, answer questions under immense pressure and face a gigantic plunge into the unknown. 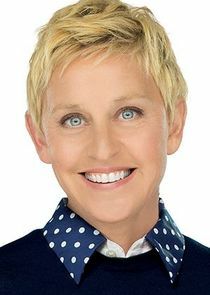 While every episode will feature DeGeneres' one-of-kind comedy, personality and a unique roster of games, they'll all end the same way — with DeGeneres giving someone a chance at a huge cash prize.